You might automatically go for protein, such as grass-fed beef. That answer is a good one, but it is not a complete answer. 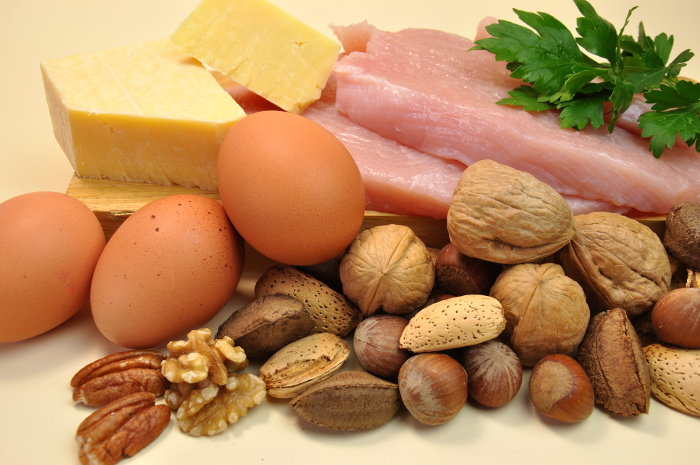 Your body needs more than just protein to grow healthy and strong muscles. In fact, it needs a lot of vitamins and minerals in order for you to bulk-up. Here is a closer look at those needs. 1. 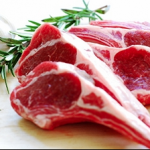 Iron – There is plenty of Iron in lean red meats. Iron is essential for many processes in the body and one of those is the health of your red blood cells. Healthy red blood cells work hard to bring your muscle cells the food and energy they need while discarding all the junk. There is a lot of bio-waste created when your cells burn energy. The process involves breaking apart chemical bonds and harnessing the energy from those bonds. The aftermath is oxidative stress and free radicals. All of that “garbage” is hauled off by the red blood cells where it is either recycled or eliminated. Foods that are rich in iron include Spinach, leafy greens, beans and legumes, and most nuts. These are also foods that are low in cholesterol. You can prime your body to build muscle by making sure that your circulatory system is in good shape. 2. Calcium – We think about calcium being a bone builder, but it helps with muscle building too. It is one of the key minerals that our body uses when muscles contract. If you want to build bigger and stronger muscles, then those muscles you have, need to contract. It is the contraction of a muscle that allows us to move and to lift weights. Without enough calcium, the process of growing large muscles is slow and tedious. Foods that are rich in calcium include Broccoli, beans (especially navy beans) okra, oranges, nuts (especially almonds,) shellfish such as clams, green beans, and figs. There is a host of foods that are rich in calcium that do not include dairy products. Diary is a sink for sugars and fats, both of which can hinder the process of building muscle or burning fat. 3. Vitamin C – We take it by the cup full to ward off a cold, but did you know that Vitamin C is used as part of the process in protein synthesis? It is a general vitamin that plays a very large role in how the body heals itself and in tissue regeneration. Above we mentioned oxidative stress. That is a process that damages cells, especially muscle cells. When the cell needs energy, it breaks apart the chemical bonds -ATP cycle – and the result produces free radicals, which damage the cells. Vitamin C is an antioxidant which means it helps to reduce the impact of oxidative stress and thus, helps to keep cells healthy. If you want to grow big strong muscles, dig into the vitamin C. Muscle recovery is the time where your muscle cells repair and add additional muscle fibers and that process needs vitamin C.
Foods that are rich in Vitamin C include Leafy greens such as Kale and other brassicas such as broccoli. Tomatoes are also a good source of Vitamin C as are many fruits, especially oranges, papaya, and strawberries. If fruit is not on your diet, then reach for those leafy greens. They are not only rich in Iron, but also in vitamin C.
4. Vitamin B-12 – This is an essential vitamin and one that our body does not store very well. It is an all-around good vitamin and for bodybuilders, it is part of the recipe that our body needs to increase protein metabolism. It is also a substance that our body uses to build strong red blood cells and to help our brain and neuro-network control our muscles. 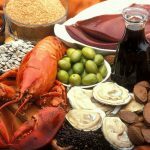 Foods that are rich in Vitamin B-12 include Quality red meat, Organ meat – such as liver, shellfish – such as clams, lean poultry, such as turkey, soy. Milk and cheese are also sources of Vitamin B-12 but are often fatty. Building muscle takes more than just lifting weights. You can help your body build muscles by paying attention to your overall health and improving your cardiac health. Focus on building healthy blood cells and providing the background nutrition that not only helps build muscle but helps to drop fat too.